The Urban Development Authority (UDA) plans to call fresh request for proposals (RFPs) for the mixed development project for the nine-acre Chalmers Granaries land, under the Beira Lake Intervention Plan, within this month, following the necessary Cabinet approval. Speaking to Mirror Business, UDA Chairman Dr. Jagath Munasinghe said that the UDA, via the Megapolis and Western Development Ministry, has sent the proposal to the Cabinet and the UDA expects the Cabinet approval in two weeks. Munasinghe explained that the earlier bidding process was unsuccessful due to the inadequate time period certified by the Cabinet Appointed Procurement Committee, as the time period wasn’t sufficient for the potential bidders to complete a technical evaluation to submit a bid. Considering the potential bidders’ concerns, he said that the UDA has decided to call for fresh RFPs. Moreover, the Cabinet proposal also includes three financial models for the bidders. The developers will be allowed construction of high-rises up to 80 floors on the land. The UDA called for bids for the property with a set base price of Rs.19 billion, on a 99-year lease, at the end of last year. However, there were no successful bids. 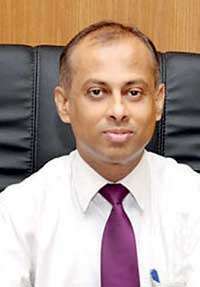 Meanwhile, Commenting on the Beira Lake restoration project, UDA Deputy Director Planning Priyani Navaratne said that the Megapolis and Western Development Ministry has received funds worth of Rs.1.3 billion from the World Bank, for bank protection, drainage system of the Beira Lake and for the Beira Lake linear park. She said that the 2.5 km East Beira Lake linear park would be soon opened to the public. She noted that the Megapolis and Western Development Ministry has recently closed the tenders for dredging work for the East and West Beira Lake, which is likely to be awarded within the next one to two weeks. The dredging work is funded by the Treasury. Munasinghe expects that the Beira Lake restoration project will appreciate the land value of the Beira Lake area over 100 percent. He reasoned that the exposure to the waterfront through the completion of the Beira Lake restoration project, combined with infrastructure development in the area, would drive the appreciation of the land prices. He also noted that the UDA plans to call RFPs for some of the other land plots owned by others, such as the Sri Lanka Port Authority, Sri Lanka Railway Department and Co-Operative Wholesale Establishment (CWE) at least by the end of this year. According to Navaratne, the UDA has identified 72 hectares of land owned by various government agencies to release for development projects, while the UDA has undisputed ownership of 15-20 acres of land in the area. She revealed that the UDA has already signed a memorandum of understanding with the CWE to release the land occupied by Sathosa to release for development activities. However, Munasinghe emphasised that some of government agencies have been reluctant to transfer the ownership of the land to the UDA, delaying the development activities of the Beira Lake Intervention Area Development Plan. The UDA expects to draw well above Rs.50 billion from private investments to develop the Beira Lake Area. According to the Beira Lake Intervention Area Development Plan, which was launched last year, it was proposed to allocate 74.6 hectares of land for mixed development projects and 18.82 hectares of land for the hotel and tourism zone, while doubling the allocated land area for public parks, recreational and open spaces to 33.15 hectares. Currently, government offices, commercial buildings, warehouses and residential dwellings occupy 30.03 hectares, 34.15 hectares, 25.96 hectares and 25.14 hectares, respectively. Accordingly, in the surrounding area of the Beira Lake, several mixed development projects and residential projects, such as Colombo City Centre, Shangri-La mixed development project and Altair two towers, are underway on an area of 18.09 hectares. The Beira Lake Intervention Area Development Plan also proposed zoning for development activities in the area, in order to retain the unique character of the historic areas, control activities causing environmental degradation and pollution of the lake, improve the aesthetic quality of the built-up environment and to integrate the land use, transport and improve connectivity. The UDA has identified 15 heritage buildings in the area, which will be released for development under strict guidelines, preserving the heritage value of the buildings. Navaratne said that the proposed zoning guidelines would be made public soon, while noting that the zoning guidelines would also be a factor in deciding the prices of land plots. “We will send the specific guidelines lot-wise to get the valuation of the land plots from the Valuation Department,” she added.